Everyone has bad days sometimes and it is important that we look back and laugh on the dumb mistakes we've made, or the terrible random events that have caused damage to our net worth. 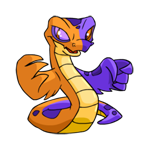 There are many great things that can happen to you while exploring Neopets, things like winning big at the Alien Aisha Vending Machine or getting the jackpot at Trudy's Surprise, and these things feel even better after you take a loss at something else around the site. I compiled this list of things that have happened to all of us at some point or another, things that made you frustrated in the moment but they can be funny looking back at it. How many of these can you relate to? What kind of experiences would you add to the list? 1. Obtaining a super rare book and then accidentally feeding it to your Grarrl or Skeith instead of reading it to a pet! Even the most diligent players with these food-obsessed pets have misclicked and fed a rare, expensive item to them instead of reading it or playing with it. If you've gotten really unlucky maybe they have eaten a morphing potion or rare weapon as well! Once you've had your Grarrl or Skeith for a while you get used to it, but accidents happen all the time. 2. You took a lot of money out of the bank to bid on an auction or buy an item off the Trading Post and the Tax Beast showed up and took a chunk of your money. It is always a danger to walk around with cash on hand, it makes you susceptible to random events. The worst being the Tax Beast, especially if he is angry, as he will take a percentage of the NP you have on hand at the time. If you were going to buy a rare stamp for your album or a collectable card, then you could easily lose over a million neopoints. No matter how hard you try to visit as few pages, sometimes bad luck strikes. 3. You were moving an item from the Trading Post to the Auction House and the Pant Devil showed up to take it. You can only get up to 2,000,000 NP for an item on the Trading Post, but a lot of items are worth more than that. When you find a buyer you may agree to sell it to them through the Auction House instead, so you take down the lot and click over to the auctions and BOOM, the Pant Devil shows up and decides to take it from you. It's super frustrating, especially if the item is worth so much that you need to use the Auction House. 4. Zapping the wrong pet or petpet with the Secret Lab Ray. Argh!!! You have three beautifully painted pets, you've spent millions on paint brushes for them, and then you have a fourth pet you use exclusively for the lab ray. You love to zap and see what crazy colors you can get, and you like having a pet that you can play with like that...but then it happens...you select the wrong pet before you go and zap and in an instant your incredible Maraquan Chia is suddenly a Blue Lupe. Not like there is anything wrong with Blue Lupes, but...it just isn't the same and it surely is not what you wanted. It is amazing to get a quest from the Grey Faerie, when you complete the quest she gets help from another faerie to bestow a reward on you. This could be some serious stat boosts from the Battle Faerie, or a dip at the Rainbow Pool from the Fountain Faerie. You get your hopes up, find the petpet she is looking for, and then...she has the Air Faerie come and boost your pet's movement speed. Sure, movement speed is a cool and all but...it isn't AS cool as the other rewards. 6. Play the wrong card during Sakhmet Solitaire. I can't tell you how many times I've been playing Sakhmet Solitaire and I put a card down in the wrong spot, blocking me from a potential future move. It always seems that I realize the second after I put the card down, and there is no way of going back to fix it. This is especially frustrating if this was all you needed to upgrade your trophy, or if you were close to the win and it happens. 7. Losing in a big draw against Count Von Roo. Count Von Roo is a lucky based dice game you can play every night when the vampire Blumaroo wakes up. You gamble your pet's levels, and if you roll lower than Count Von Roo your pet will lose a level. If you roll higher you will gain a level. But if you both roll the same number, you will enter a draw which will double the stakes. Now instead of competing to win or lose one level, it is two levels. And this can continue on and on if you keep hitting a draw!! Imagine hitting a draw five times and then...you lose. You've just dropped a ton of levels, you're probably devastated, and also scared to ever wager with him again. 8. Accidentally discarding an item through quick stock. Without the bad, you can't have the good though. Losing things here and there makes you appreciate it much more when you win a huge price or score a nice restock, so don't kick yourself too much over small mistakes or misfortunes. Things will pick up for you soon!